Pakistan Science Foundation (PSF) and Directorate of Science and Technology (DoST), Khyber Pakhtunkhwa (KP) Province, signed a Memorandum of Understanding (MoU) on Thursday for stringent developments in S&T and developing science culture in the country. The MoU was signed at an impressive ceremony. PSF Chairman Prof. Dr. Muhammad Ashraf was the Chief Guest while Secretary S&T and IT Department, KP, Ms Farah Hamid Khan was Guest of Honour on this occasion. 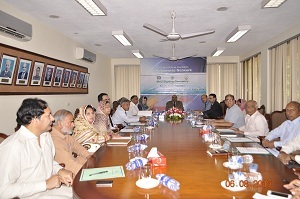 Senior officers from Federal Ministry of Science and Technology, Pakistan Science Foundation, Pakistan Museum of Natural History and Pakistan Scientific and Technological Information Center were present. PSF Member Science Prof. Dr. Muhammad Akram Sheikh and Director DoST Mr. Zahoorul Haq signed the MoU on behalf of their respective organizations. The MoU is aimed at developing cooperation and collaboration between the two organizations for stringent development in S&T through collaborative activities to improve the economic condition of the country. Under the MoU PSF and DoST will work together for identification of core areas of mutual cooperation, sharing their expertise for science propagation activities. PSF will help DoST in establishing science laboratories in some deserving schools of KP and provide trainings to science teachers in already established labs in 24 districts of KP. PSF Chairman Dr Ashraf addressing on this occasion stressed the need for focusing on human resource development as without it progress in national development could not be achieved. He highlighted some priority areas of the Foundation for funding research projects. 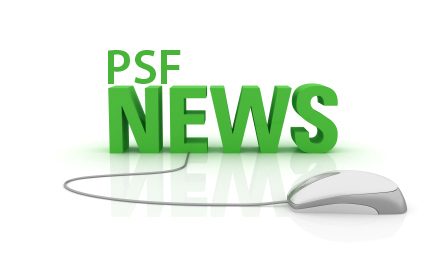 The PSF Chairman assured his full support to DoST for developing science culture in the province. Secretary S&T and IT Department, KP, Ms Farah Hamid Khan, PSF Member Science Prof. Dr. Akram Sheikh and Director DoST Mr. Zahoorul Haq also spoke on mandate, activities and achievements of their respective organizations.